Yesterday I had the wonderful surprise of waking up to this when I turned on my computer. Thank you all so much for all your sweet comments and tweets yesterday! (And of course a GIANT thanks to iBlog4me!) 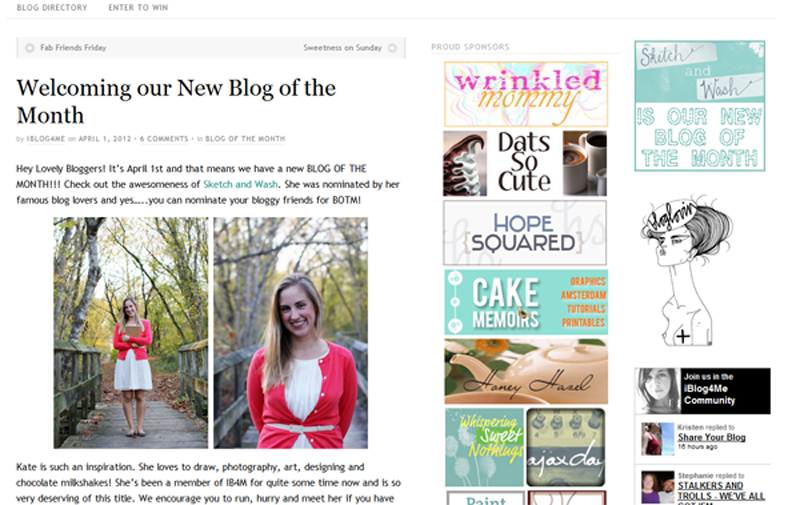 The response was almost overwhelming and it made me oh so grateful for this blogging community that I am a part of. I’m hoping to post a little more regularly here this week (Art to Inspiration on Wednesday, anyone?!) I’ve been slacking big time on doing anything in my sketchbook lately, hopefully this will give me a little kick start! Obviously, you KNOW I adore you, Kate! Congrats! You’re awesome and talented!